Paul is the best plumber I've had work at my house! Fantastic job, I highly recommend! I am so happy to have found Same Day Drains! Exactly the kind of service you hope For‎‎. I had a MAJOR sewage back up happen on a Sunday afternoon. I had a complete mess comining from just about every sink/toilet and shower in my house! I searched for someone local and ran across Same Day Drain Cleaning & Plumbing. They had a guy out to my door within about 45 minutes. The problem was fixed quickly, and my plumbing was working again in no time. The man even stuck around to help me clean up the mess!! The price was very reasonable for such short notice on a Sunday too! 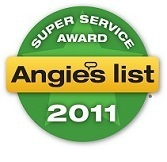 I was quite happy and I would definitely recommend them to anyone with plumbing or sewer problems‎.